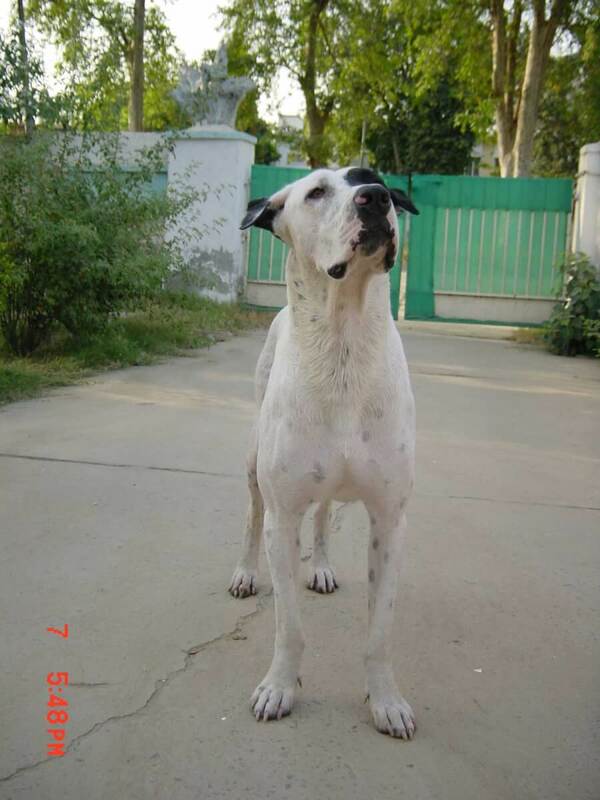 The Bully Kutta is a large breed originating in areas of Pakistan (and India to a lesser extent). They bear resemblance to many other bully breeds and are modernly guardian and companion dogs. This is not at all a good choice for a novice owner-- they are difficult to train and must be socialized immediately to make acceptable companions. This breed will protect their owner with everything they have but are also known to be person and dog aggressive. Easily maintained (both in grooming and exercise) they can live indoors or out, but a large yard is preferred. This generally healthy breed should live 8-10 years. Bully Kutta information is not exactly abundant and there is not a strict breed standard. What we do know is that they certainly have the "bully" look-- the name comes from the native language(s) terms "bohli" meaning heavily wrinkled and "kutta" meaning dog. They have muscular bodies with broad chests and heads, plenty of extra skin, and although owners tend to crop the ears the tail is left long. Bully Kuttas have short smooth coats and no color restrictions. Members of this breed range from big to bigger, standing anywhere from 28 to 40 inches at the shoulder and weighing in at a whopping 149-250 lbs! This is not the breed for a first time owner. Training will be difficult and requires a firm, consistent pack leader that can immediately establish themselves as the alpha. Punishment based systems will be counter productive when training this difficult breed. If you want your Bully Kutta to be anything other than a die-hard protector (which comes naturally) it is imperative to train and socialize them early! These dogs are known to be aggressive to both other dogs and people. Although they don't go around picking fights, they certainly won't back down from one if they feel it necessary. They are naturally protective and will fight to the death if necessary. Immediate socialization is required if this breed is desired for companionship and, if achieved, they form close bonds with their owners. Many Bully experts contend this breed may be lazy if allowed to be, however, they need daily exercise-- and preferably a large yard. A few walks and plenty of playtime in the yard is how most owners keep their BKs fit. If yours will be an indoor pet with no yard they will need more outdoor time in the form of walks, hikes, games and tasks to ensure they don't become bored or obese. This breed originated in the Sindh and Punjab regions of Pakistan and Bully Kutta history is rumored to date back to the the mid 400's B.C. when the Persian army used them as guard dogs. Besides guarding, members of this breed were also utilized as sporting/hunting dogs, especially for large game. Unfortunately, this breed has also been forced into dog fighting (although, maybe not as much as other bully breeds). During the time that these regions where under British rule is, perhaps, when the BK experienced the most change. The English Mastiffs, Bull Terriers and many other sporting breeds intermingled with these local mastiff-type dogs to produce the Bully Kutta as we now recognize it. Of course, different geographic areas may maintain their small differences and preferences. Also, it is important to note that many locals to these regions do not consider the Indian Mastiff and the Bully Kutta the same breed although many use these names interchangeable. Members of this breed may have recently (or likely will in the future) find there way into other areas of the globe due to immigration from political/socioeconomically unstable areas. Bully Kuttas are mostly similar in regards to the "bully" appearance and short, smooth coats, however, there are claims of various Bully Kutta types based upon which region of Pakistan or even India from which they developed. Below are pictures and images of the Bully Kutta. 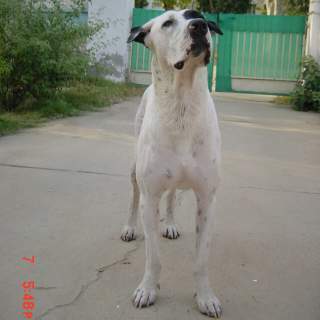 The Bully Kutta's health tends to be good, however, they have a relatively short lifespan of 8-10 years. There is little information in regards to common ailments-- if you want to be on the safe side, it couldn't hurt to research health concerns of other bully breeds. Perhaps due to them not experiencing such a large popularity (and, therefore, not subject to years of inbreeding) they are free of the plethora of issues affecting other purebreds.